Your customers are looking for you on social media. Is your restaurant visible? With the online community growing it is very important to make sure your potential clientele can find you. Every time your customers dine at your location, they are more than likely to take a photo of their meal and tag their location. This helps put your restaurant on the map and in front of potential customers – ONLY if you’re on social media. 80% of people will look at a restaurant online prior to going there for the first time. We know social media, we will find your audience and put content in front of them regularly. Reputation Management is included in every package we offer, we will respond to all reviews. Is your restaurant on Facebook, Google Business and Instagram? If not you’re almost certainly missing out on an important way for you to connect with your guests and their friends (future guests). You can use social media to stay connected with your guests and build a deeper connection. Add your events to your website and Facebook Business Page to gain more exposure. Promote a positive image with engaging content, hi-res photos, and customer reviews. Make your location known and contact information available with the touch of a button. We can do all this and more. Call for details 732 – 889 – 3322 x 705. 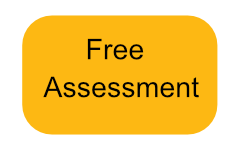 If you would like to learn more just request a free social media assessment. One of our account managers will review your information and send you additional details on what social networks will benefit you most, along with the benefits of each. MILE Social will completely run your online presence if you prefer, enabling you to run your dining establishment. Call for more information 732 – 889 – 3322 x 705.